Even in the booming IT industry with unemployment at historic lows, landing a tech job isn't a given. Making it through several rounds of interviews and technical screenings can make you feel as though you're a shoe-in for the role, only to discover the company's decided you're not the right fit. "In the IT industry, demand is incredibly high right now, and with that many other candidates, competition is fierce and the pressure is high. It can be devastating if you're passed over for a role, but there are ways to cope and handle rejection gracefully," says Greg Barnett, vice president of Research and Development at The Predictive Index. 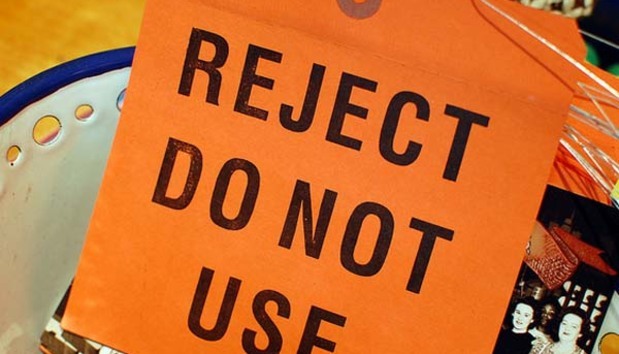 Here, Barnett shares eight tips for dealing with rejection and moving on with your job search. Companies make hiring decisions based on many factors. They may have really liked you personally, but you might be lacking critical experience, a certain technical skill or the right culture fit to fill a role, Barnett says. "It's quite possible it really is them and not you. The human factor is so important in hiring, and first impressions are of the utmost importance. Even a single awkward moment at the beginning of an interview can color people's perceptions and influence the hiring process -- and there's nothing you can do about that except take a 'big picture' view and remember that it's not personal," Barnett says. As candidates sell themselves to a company, sometimes they over-sell themselves on how great a role would be. That can make rejection doubly disappointing, says Barnett, so you need to be realistic about the pros and cons of a company and a role. "Identify factors that were likely not to be a good fit, including parts of the job you wouldn't have enjoyed or elements of the culture that would have been annoying. Ask yourself if you were really a good fit for the roles and responsibilities of the position, or if you'd just convinced yourself of that. Make sure you're looking at the reality, not the fantasy," Barnett says. As with anyone who misses out on your talents and abilities, it's best to realize that it's the company who's probably lost the most in this situation. It may sound cheesy, and it may seem difficult to convince yourself of this fact, but you'll go on to get another position. They'll miss out on having you in their organization. "Companies make bad hiring decisions all the time. It's quite possible they made a mistake in not hiring you. If you really feel you were 100 percent the perfect person for the role and they declined to hire you, well, maybe that says something about the company, and you're better off," Barnett says. While not all companies will respond to candidates they reject, they are often willing to share feedback with candidates who came close to getting the job. "Follow up with your key contacts, thank them again for the opportunity to interview and learn about the position, and let them know how much you desire a similar role. Then, ask for feedback on why you didn't get the job. In some cases, you might not hear anything; sometimes you'll get lucky, though, and someone on the company side will be willing to engage with you this way," Barnett says. Just because you were rejected from a specific role, doesn't mean the company didn't think you were impressive. After all, only one person can be hired for one role at a time. Make sure you're staying in touch with the recruiter or hiring manager you worked with, but don't appear desperate, Barnett cautions. "This can be a very casual, 'just touching base from time to time' kind of thing, just to stay connected. If something else comes up, this will help you stay top-of-mind for the company, and it also shows that you're not bitter, you're resilient, you have a positive response to stress and that you're an optimist who's moving on," he says. Nobody likes a sore loser, so make sure you're staying positive and friendly, even in defeat. Thank everyone for their time, and make sure you offer your help in any future endeavors if there's an opportunity, he says. "Some of the best hires come from referrals, so even if they didn't hire you, they may know someone who is looking for a candidate with similar skills and experience. You're showing that you respect their company and that you're an advocate for them, even if you're not working there," Barnett says. Rejection is part of the interviewing process and something we've all felt. Don't give up. If you need to take a little time to lick your wounds, that's understandable, but don't let rejection crush you. "Channel that negative energy into reinvigorating your job search. Take a look at your resume, start networking aggressively and work on scheduling more interviews," Barnett says. So you didn't land the new job, and now you're faced with going back to an unfavorable work scenario. While it's much easier said than done, try not to become angry, depressed and bitter, Barnett says. Sometimes, you have to accept that you'll be stuck where you are for a bit longer, and make the best of it. "What you don't want to do is make desperate, poorly-thought-out decisions based on anger or frustration. Don't rage-quit your current job, for example -- that'll land you in a much worse position. If you have a toxic manager or an unhealthy work environment, well, that's all the more reason to try and stay positive and patient -- something amazing will come along for you if you keep trying," Barnett says.